Stainless steel lines, washers, and clips. 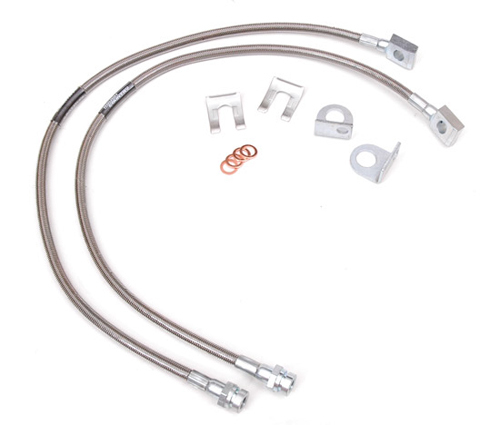 These stainless steel brake lines are a Teflon tube wrapped in Kevlar for strength, then a protective coating, and then the stainless steel. Pressure tested to 4000 psi, and are DOT approved.